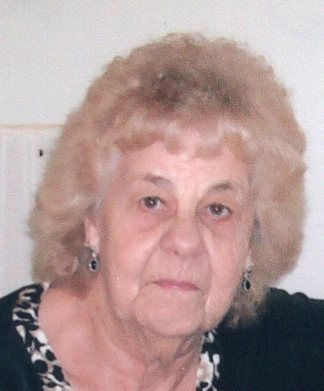 Obituary for Marian Hazel (Smock) Hunter | Clawson Funeral & Cremation Center, Inc.
Marian Hazel (Smock) Hunter, 94, of Leechburg, PA, passed away on Friday, March 22, 2019 in her residence. A daughter of the late Marion Smock and Myrtle (Green) Smock, she was born November 20, 1924 in Arnold, PA.
Marian was a homemaker who was also employed as a picker for a mushroom farm for nearly a decade. She was of the Protestant faith. Survivors include her son, John Hunter (Dianna) of Ellwood City, PA; three daughters, Sandra Austin (Lyle) of Florida, Judith Nichols (John) of Texas and Gale Kurtz of Colorado; 12 grandchildren; 22 great-grandchildren; five great-great-grandchildren; and a sister, Shirley Boring of Franklin, PA. In addition to her parents, she was preceded in death by her husband, John Hunter in 1999. Friends welcomed by her family on Monday, March 25, 2019 from 2-4 and 6-8 p.m. at Clawson Funeral & Cremation Center, 170 Main Street, Leechburg (724-842-1051) where funeral ceremonies will be held at 10 a.m. on Tuesday, March 26, with Rev. Gary J. Lyon officiating. Interment following at Greenwood Memorial Park, 104 Melwood Road, Lower Burrell.